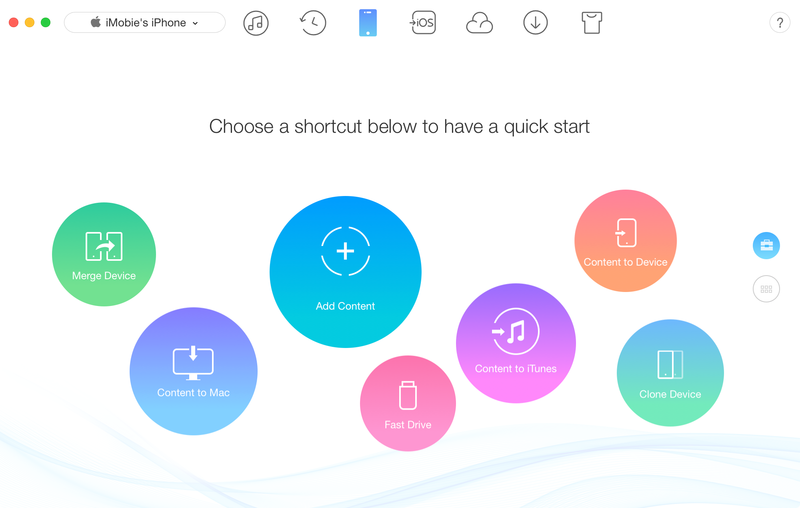 Download AnyTrans to Start Your iOS Contents Management Experience! Welcome to AnyTrans Online Guide. 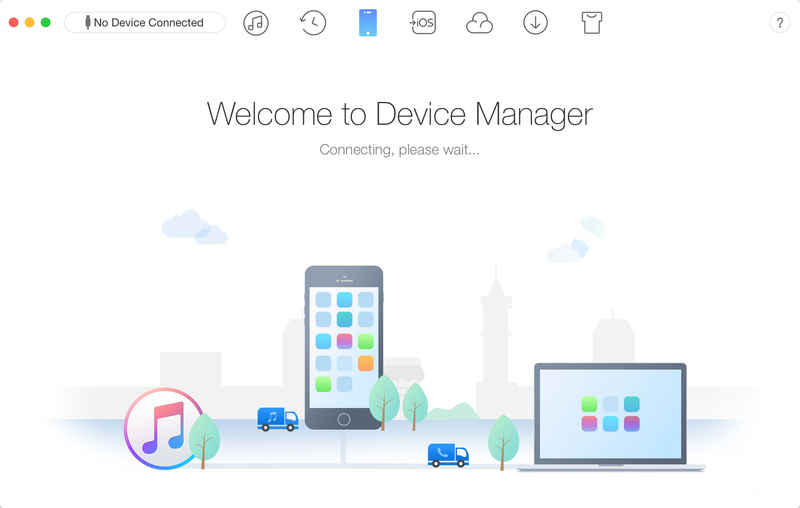 Here you can find all detailed tutorials about how to manage your iOS contents between iOS devices, iOS device & computer, iOS device & iTunes, iOS device & iCloud as well as data stored on iTunes and iCloud backups, and even move Android device data to iTunes, iCloud and iOS device directly. If you still have questions after reading this guide, please do not hesitate to contact our Support Team, and you will receive reply within 24 hours. iOS device associates with your education, business and entertainment. While you feel alert to get a new device, you will soon realize that data on the old device is so precious and essential in your daily life. Worst of all, it is cumbersome to transfer all the data from old device to the new one manually. However, with AnyTrans, you can move the data as well as personal setting on the phone with a few clicks. Please refer to the following guide to make good use of AnyTrans. By default, AnyTrans will detect your iOS device automatically. If you don't connect your iOS device to computer or it isn't recognized, you will see "Connect your iPhone, iPad or iPod to start" interface. Once your iOS device is recognized, the interface below will display. If AnyTrans fails to recognize your iOS device, you may try these troubleshooting steps to solve this problem. 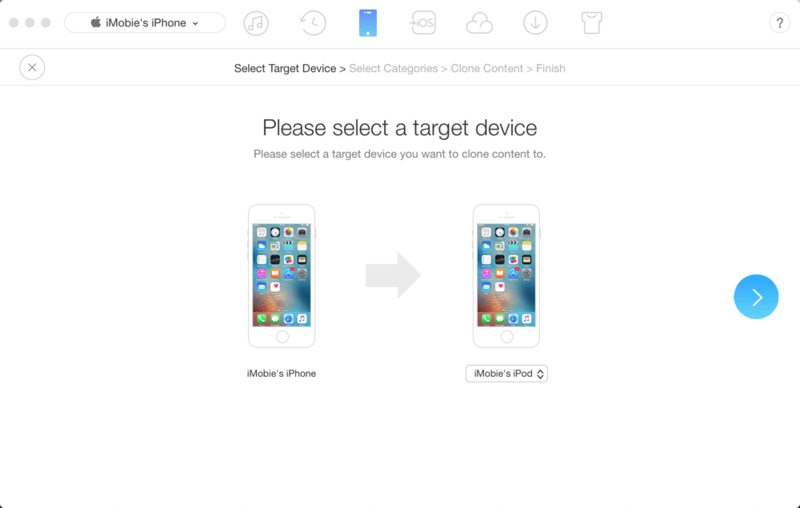 Please check whether you have chosen the device as target device correctly before the clone process. After clicking button, AnyTrans will load your files automatically. Meanwhile, AnyTrans will only list the file icon for you to select when your iOS device has such files. 1. Please make sure the internet connection is normal (both computer and device) when using clone feature. 2. If you select messages, contacts, calendars, notes, call history, Safari bookmarks or photos, the corresponding data on the target device will be overwritten. Please check this page to get more details on this issue. 3. Please do not disconnect your device during the whole cloning process, or your data will be erased permanently. 4. Apple blocks permission to access to app files with iOS 8.3 and higher due to security issue. 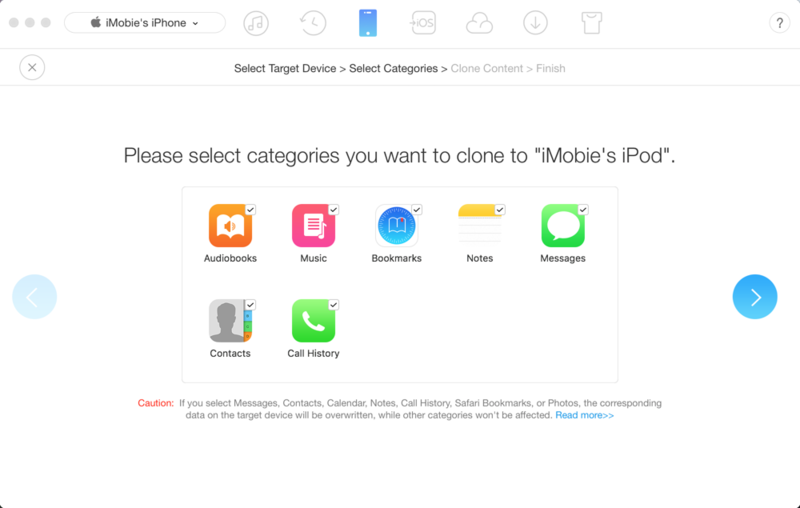 Thus, to transfer apps between iOS devices for iOS 8.3 and latter, please download same app from App Store on target device before launching clone process. After clicking button, the clone process will begin. Given the importance of your data, AnyTrans will firstly backup your source device and target device. The time to backup may vary based on the size of your data. Please keep patient. Once the backup process completes, AnyTrans will start to clone and restore your data. It's normal for your device will restart during the process. Please keep your device connected and wait patiently. After finishing restoring data process, AnyTrans will continue to copy data from source device to target device. Please keep your device connected and unlock your device to "trust" your computer as AnyTrans suggests. 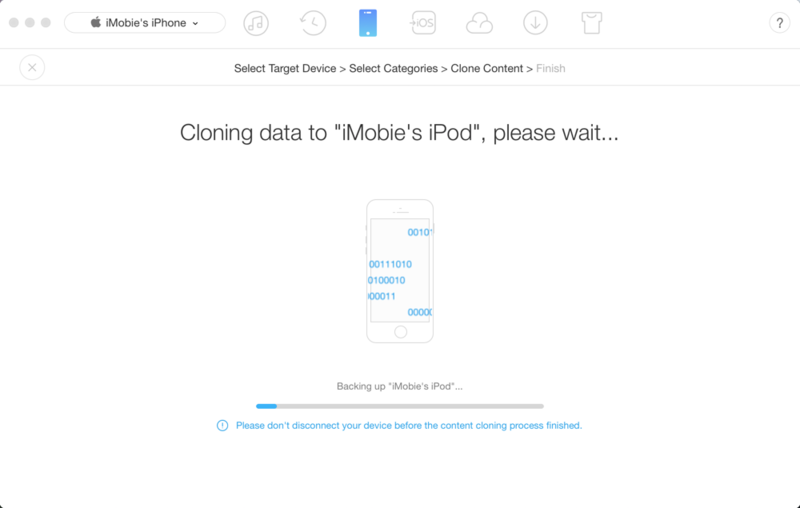 Once the transferring process is completed, you will see Content Cloning Completed page. To go back to the home page, please click button.